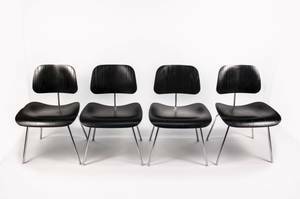 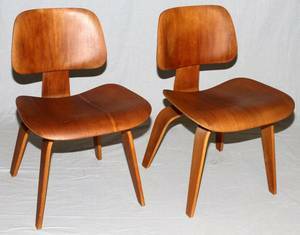 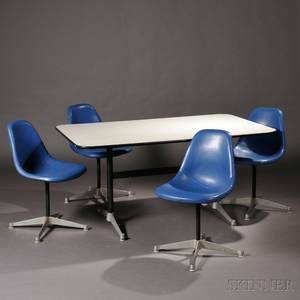 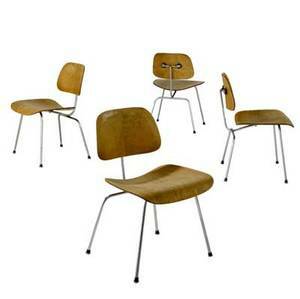 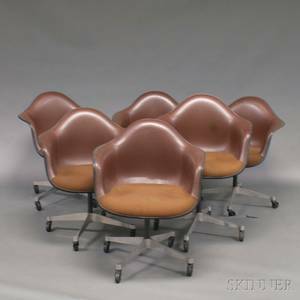 Charles and ray eames / herman miller set of four birch plywood dining chair metal (dcm) chairs. 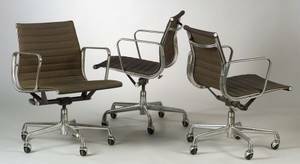 herman miller foil labels. 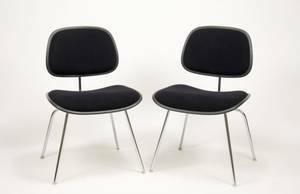 29 1/2" x 19 1/4" x 21"
Charles & ray eames for herman miller set of four metal wire side chairs with wool upholtery. 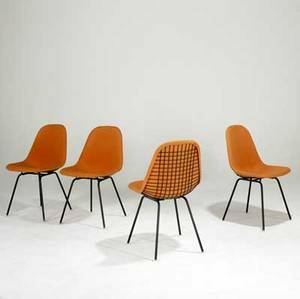 marked with fabric label. 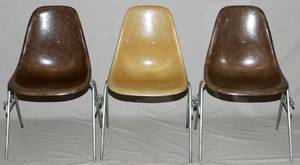 33" x 19" x 21"